Prior to his retirement from active military service, he served as the Chief of the Department of Orthopedics and Rehabilitation at Walter Reed National Military Medical Center, which also included the Amputee and Traumatic Brain Injury Services. 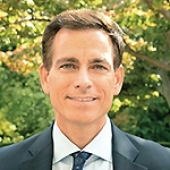 He has served as the PM&R specialty consultant to the Army Surgeon General; Senior Medical Officer of the Ortiz Level II Military Treatment Facility, International Zone, Baghdad, Iraq; and a Secretarial appointee for the U.S. Department of Veterans Affairs’ Advisory Committee on Prosthetics and Special Disabilities Programs. He continues to serve as a consultant to the Defense Advanced Research Projects Agency (DARPA), U.S. Army’s Medical Research and Material Command (MRMC), Food & Drug Agency (FDA), and as a member of the Board of Visitors for the Volgenau School of Engineering, Department of Bioengineering, George Mason University and University of Pittsburgh School of Health and Rehabilitation Sciences. Dr. Pasquina has received multiple military awards, as well as awards for teaching and mentorship, including the U.S. Army’s “A” Proficiency Designation for academic excellence, the Order of Military Medical Merit, the Legion of Merit with two oak leaf clusters, da Vinci Lifetime Achievement Award, Partners in Progress Heroes of Military Medicine Award, Lewis Aspey Mologne Award, Alfred Mann Foundation Scientist of Year Award, Distinguished Clinician Award from the American Academy of Physical Medicine & Rehabilitation, Chapel of the Four Chaplains Legion of Honor Bronze Medallion Bronze, and Honorary Fellow of the Rehabilitation Engineering and Assistive Technology Society of North America (RESNA). He has authored several books, multiple book chapters, and numerous journal articles and policy papers. His work as the co-editor of the Textbook of Military Medicine: Care of the Combat Amputee, was recognized with the First Place award for Technical Text from the Washington Book Publishers Association in 2010.